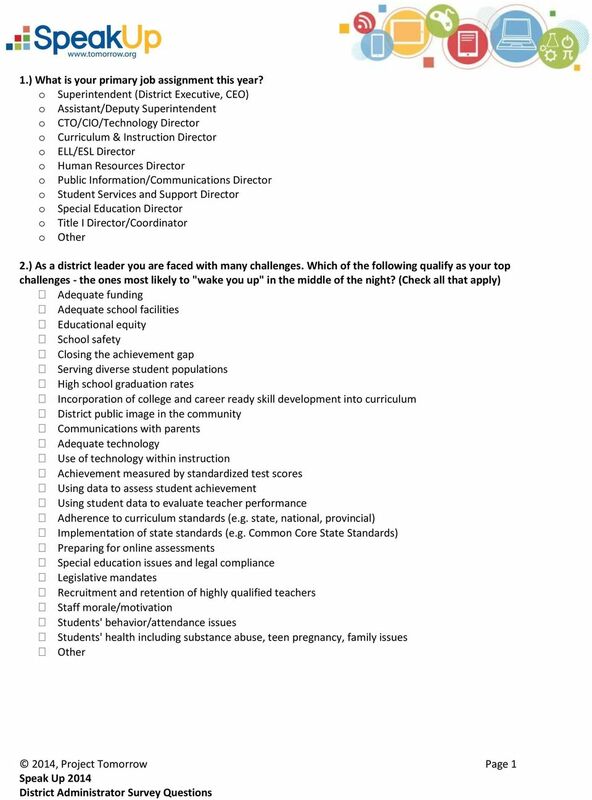 Download "2014, Project Tomorrow Page 1 Speak Up 2014 District Administrator Survey Questions"
State: IN Results based on 363 survey(s). Note: Survey responses are based upon the number of individuals that responded to the specific question. 1 2 3 4 5 What is your primary job assignment this year? Q1 Which school do you attend? Q. 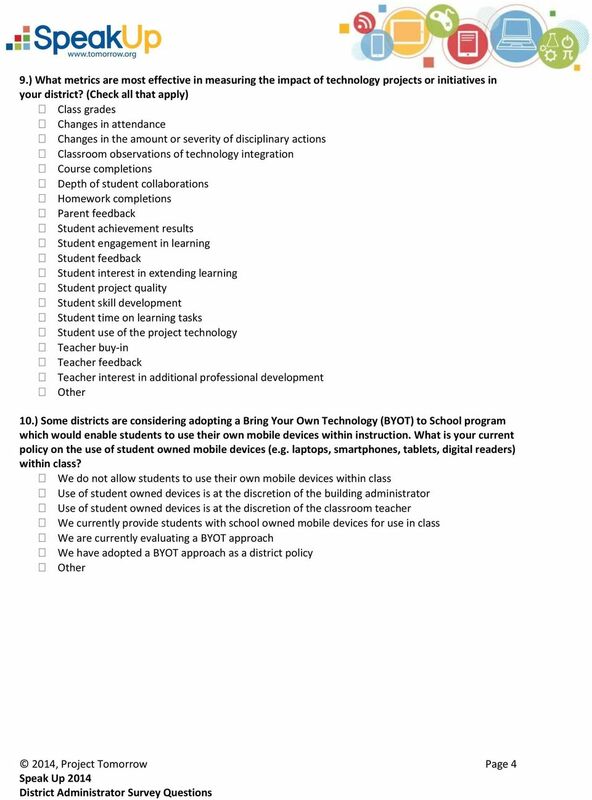 Will the school district provide minimum or strongly recommended minimum software requirements for the devices? A. 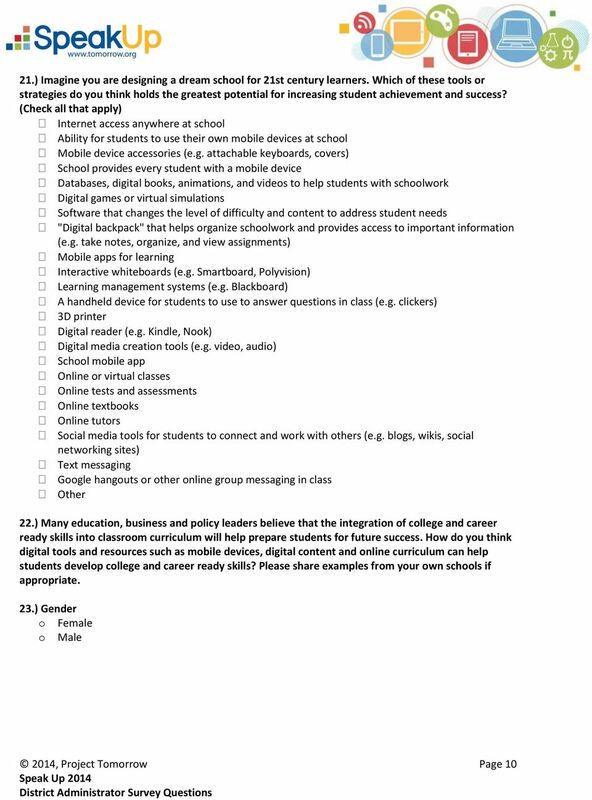 Parent FAQ s. 1:1 Laptop Program. Introduction. 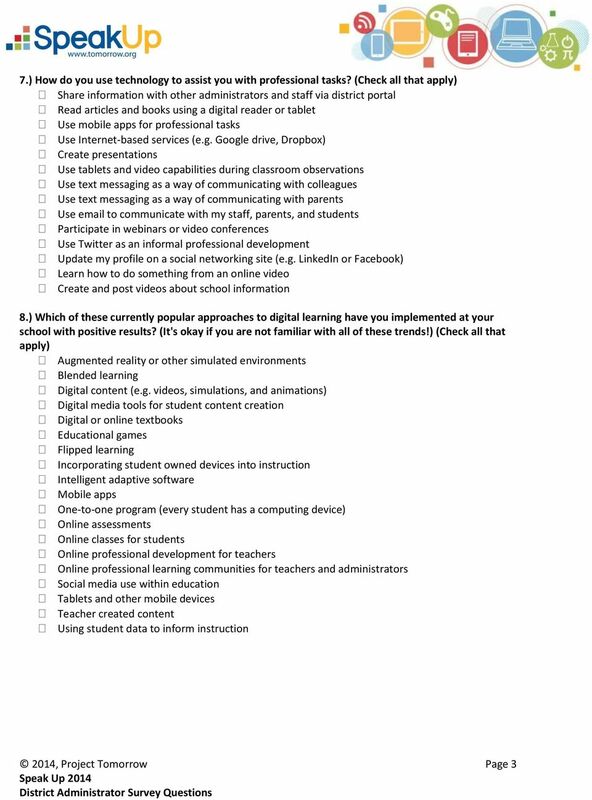 1-to-1 devices and student learning. Will students use computers too much for schoolwork? informed. 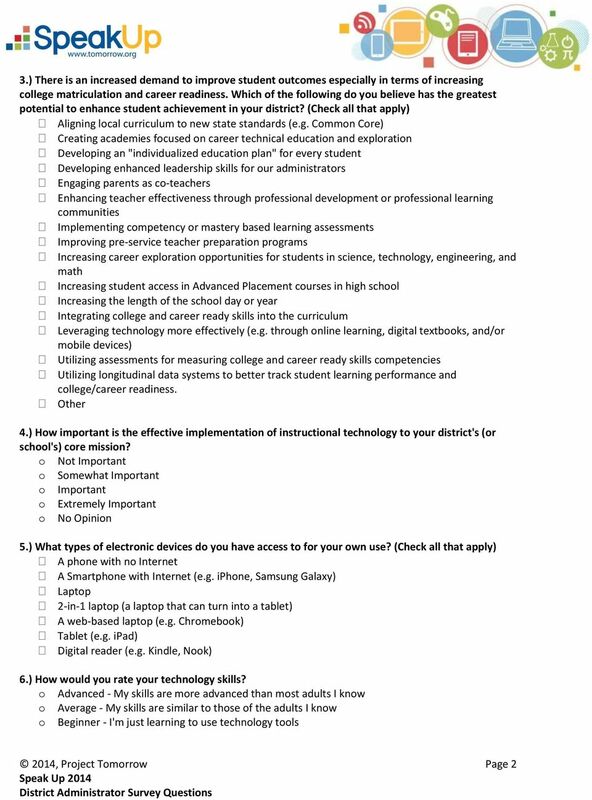 Planning Considerations for K-12 Communications Technology Planning Issues for K-12 Communications Technology frontier. 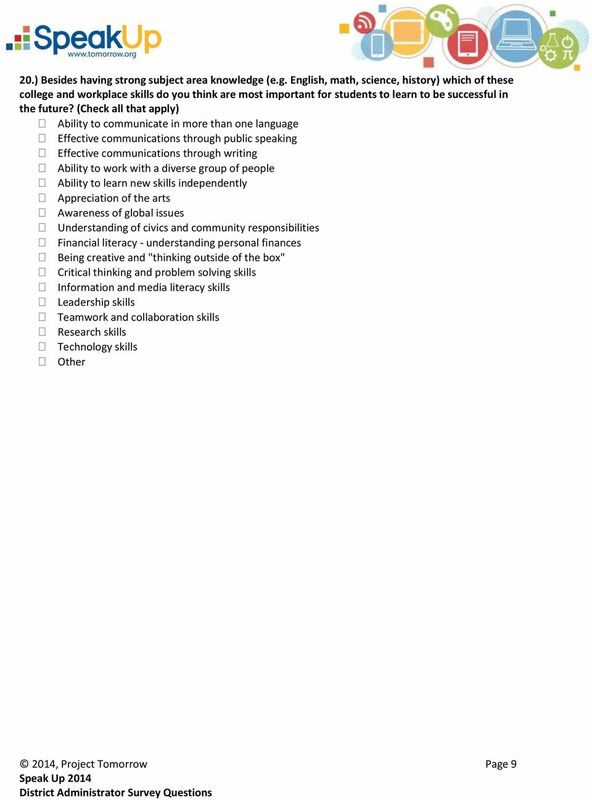 Does your local 14-19 network prepare one prospectus for post-16 education? If yes, which network? 2014 2015 Schedule of Courses VOLUME 1, ISSUE 1 2014 2015 Online Course Catalog Philosophy & Principles of Career & Technical Education September 30 October 27, 2014; Live Sessions on Tuesday at 6:00 p.m.
Susan Bigman Assistive Technology Services Fairfax County Public Schools BYOD* What Can it Mean for Me? *Bring Your Own Device Let s Find Out Who are you? What do you want to know? Take out your device!